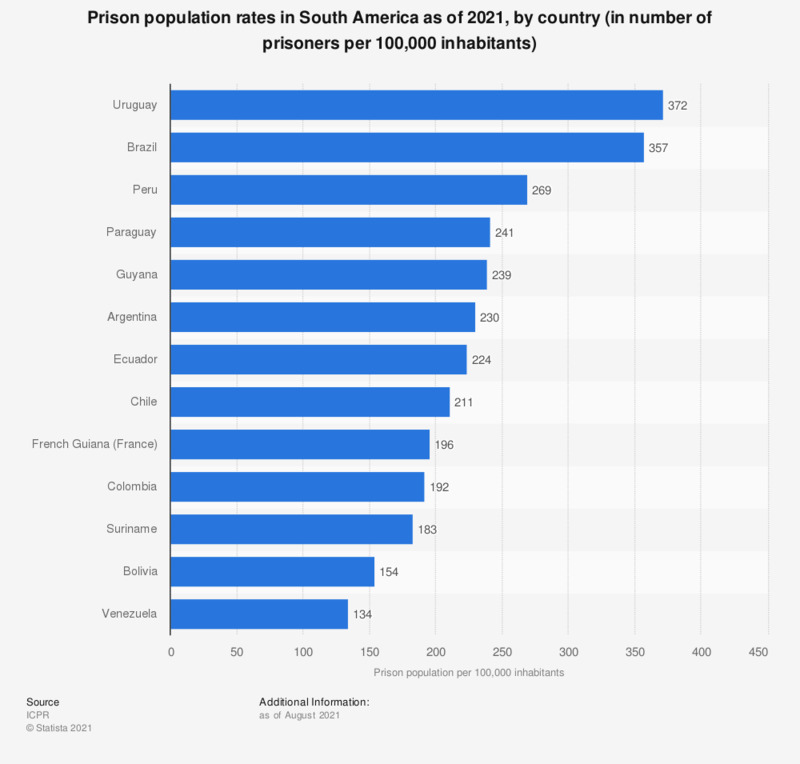 This statistic shows a ranking of South American countries based on prison population rates as of 2018. The South America nation with the highest prison population rate was Brazil, with 325 prisoners per 100,000 inhabitants, followed by Uruguay with 321 prisoners per 100,000 people. The source does not provide a publication date. The date of survey is the date of access.